T.P.Q Hotel is situated in the Da Nang City-Centre district, 1 km from Cham Museum and 1.9 km from Song Han Bridge. All rooms are fitted with a private bathroom. T.P.Q Hotel features free WiFi throughout the property. A flat-screen TV is available. T.P.Q Hotel is located in the Da Nang City Center neighborhood in Da Nang, 0.6 ... Khe (New address 219/New Street No.219), Da Nang, Vietnam – Show map. 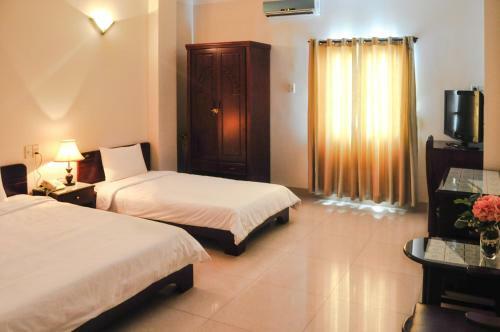 Thai Duong Hotel Danang - Da Nang - Vietnam - Discounted Rates : Secure online booking for Thai Duong Hotel Danang, Da Nang.